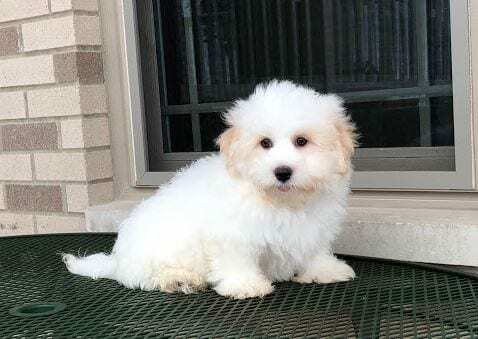 Family Puppies is proud to offer the best puppy breeds to our clients, and that of course, includes the Coton de Tulear. The Coton de Tulear is a small, active dog known for their happy and loving personalities along with plenty of other positive traits. The Coton de Tulear is often referred to as the “Royal Dog of Madagascar” because it was first developed on the island of Madagascar. In fact, it is still known as the island’s national dog. It is rumored that descendants of the breed were brought to Madagascar on ships during the 16th century. For some time, only royals could own a Coton de Tulear. The Coton de Tulear breed is known to have a happy and silly personality, often looking to play. They are notoriously friendly towards both dogs and humans, making them a great family pet option. In fact, the American Kennel Club has referred to the breed as the “Ultimate Companion Dog.” They are intelligent and social, making them somewhat easy to train as well. They are known to be observant and obedient and do well learning from an established routine. They don’t enjoy being alone because they feel a very strong bond to their human. Coton de Tulears are a somewhat vocal breed, sometimes responding to sounds with an occasional bark. They often grunt and growl as an attempt to communicate with their owners. The breed is especially suitable for people that never owned a dog before because they are intelligent, trainable, and extremely friendly. A Coton de Tulear is typically no taller than 15 inches and weighs no more than 15 pounds. The word “coton” actually translates to “cotton” in French which is an indicator of the soft, fluffy, cotton-like coat of the breed. As a result of an extremely fine and soft coat, the breed does require a fair amount of grooming and care. They need to be brushed often and professionally groomed as well. However, these dogs are hypoallergenic meaning that those who are allergy-prone can own one without worry. Smaller breeds of dogs are often known to be somewhat energetic and a Coton de Tulear is no exception. The breed can perform basically any type of physical activity, such as swimming and walking, and really enjoys physical activity as well. 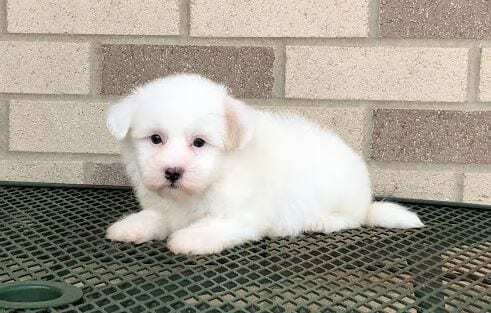 The reasons above are just a highlight of why we are proud to offer Coton de Tulear puppies to our clients. We believe this breed will be a great addition to your family. To find out more about this lovable breed, contact Family Puppies today by calling 574-354-2428.